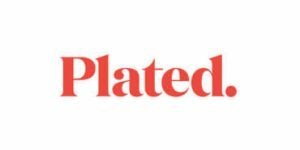 In our Plated review, we spoke about all the important features of this meal kit service, from ordering options and subscription flexibility to pricing and delivery areas. Now it is time to dedicate more attention to the most delicious part of the service – the famous Plated menu. Every week, there are 22 items on the menu. The selection of recipes changes every week. You can decide whether you want to order 2, 3 or 4 recipes per week and whether you want to cook for 2, 3 or 4 people. The standard serving size for dinner items is 2 servings while dessert recipes yield 4 servings. All recipes come with information on the number of calories and grams of fat, proteins, and carbs they contain. The meals usually take 30-40 minutes to make and the cooking and preparation time is clearly indicated for every recipe. At any time, you can view the current menu, as well as the menus prepared for the following 4 weeks. 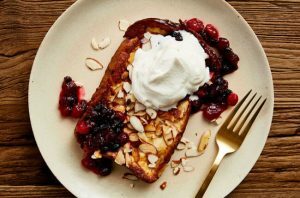 Plated does not offer breakfasts or lunches but exclusively focuses on dinners. 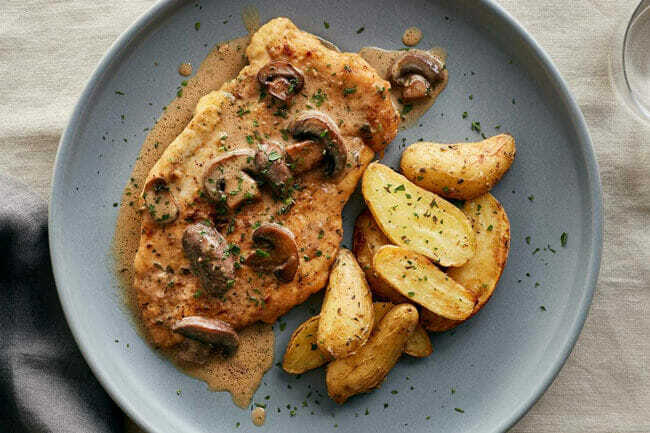 The weekly menu includes 12 new dinner recipes designed particularly for that week. There are a couple of ways Plated helps you choose the meals you want to cook. First, there are the mouthwatering photos that are as impressive as they are inspiring. Second, you can filter the recipes by three basic categories: meat, seafood, and vegetarian. If you have more specific expectations from your meals, you can use the additional filtering options. You can narrow your choice down to spicy meals, those that are prepared on stovetop only, those that do not contain gluten, meals that are low in carbs, meals that contain no more than 600 calories, and those that are quick to prepare. In addition to 12 new dinner recipes, Plated allows you to choose from 8 encore recipes every week. 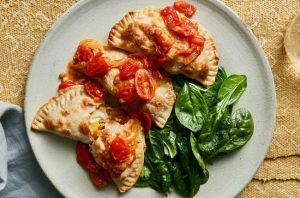 These are the dinner recipes that already appeared on the Plated menu and received the highest rating from the customers. If there is a Plated meal you particularly enjoyed, you can give it the highest rating and there is a chance that it will be featured again in the Encore section of the menu. If you want to end your meal with a delicious dessert, you can choose from 2 wonderfully decadent, easy-to-make dessert recipes. These luxurious treats rarely take more than 40 minutes to make and they contain healthy, high-quality ingredients, so you do not have to feel so guilty for indulging in a dessert after a satisfying meal. A lot of thought is put into every recipe that appears on the Plated menu. That is why every weekly selection is unique and sure to bring you immense pleasure both in the kitchen and at the dining table. If you are struggling to decide what to cook next, we warmly recommend giving Plated a try.